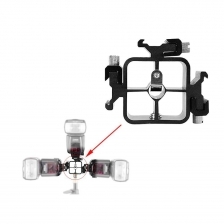 With umbrella hole in the center, allows flash spot closer to the center. 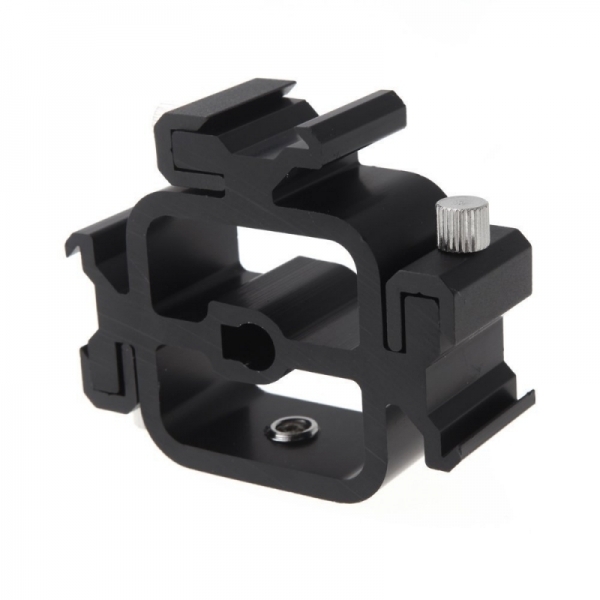 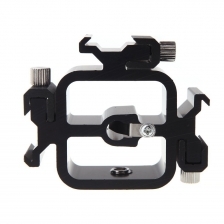 With a 3/8-1/4" adapter screw, can support different kinds of 1/4" or 3/8" light stands or tripods. 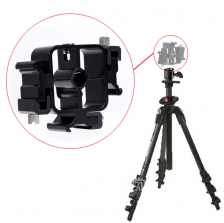 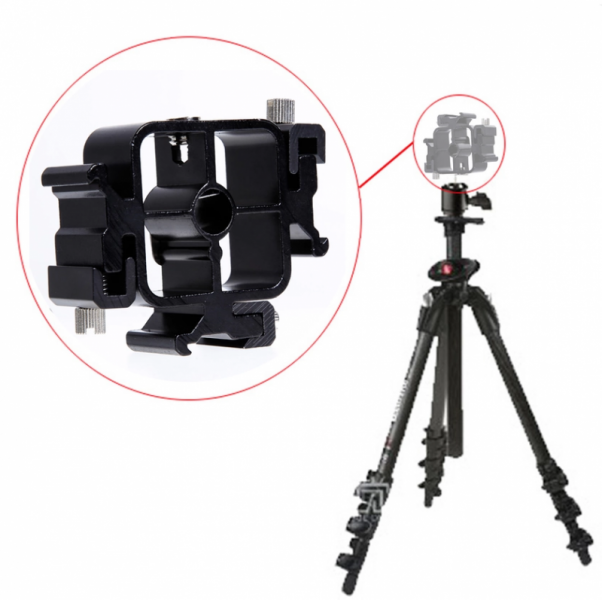 With three independent adjustable metal hot shoe, can support different types of professional flash.